My time in Canada is coming to a close. I have spent the last ten days being nausea-free and feeling like a human being again. In that time, I have attended a beautiful wedding reception in Rhode Island (dipped into the US! ), had an incredibly magical gig with two songwriters I love and admire in Toronto, and learned that an old friend and amazing poet & musician passed away suddenly at the young age of 43. So it’s been a powerful and intense time. It was a beautiful gift to attend the wedding event, and really was the reason I travelled across the waters this summer. I was there without my partner, sadly, and saw many people from my former community, many of whom have long circled out of my orbit (as I have theirs) and some who were as thrilled to reconnect with me as I was with them. I wished Guo Jian could have been with me, absolutely, but I was grateful to have Little Spark there, at least, to psychically absorb the beauty of my friends’ love (the gorgeous married couple) as I rubbed my belly in wonder. It’s amazing how carrying the next generation can make a person (me) see everything with clearer vision, crisper edges, brighter colours. I saw a purity of love between my friends who got married that I truly want Little Spark to witness and experience. I saw other things too, like social dynamics and pressure that I hope to protect Little Spark from for as long as possible. I saw the ocean and smelled the dawn seaside air and wanted Little Spark to feel that on his or her face. I also hoped the ocean would be even cleaner than it is now by the time he or she is old enough to run wildly into it, laughing. As I watched the sunrise last Sunday morning, I could only feel excitement for the world that is unfolding for us both as I become a mother and he or she becomes a being about to be born. 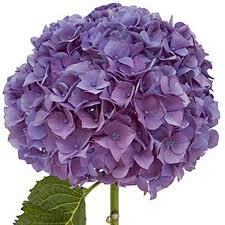 Fierce pride and resolve were with me all weekend as the summer colours of the hydrangea flowers popped everywhere I looked. I also discovered my healthy dose of “mama bear” protection instinct too and it made me smile, knowingly. I guess I’m experiencing the real beginnings of parenthood. All of this was blanketed in a subtle and warm joy that I haven’t experienced yet in my pregnancy. Fact #1: she finally doesn’t want to retch on people’s shoes during a conversation. Fact #2: she starts feeling in her body again, like recovering an old friend, and this generates such gratitude for feeling well. And, in this case, the “she” is ME and so that me is happy. So, last weekend was divine and it was followed by a return to Toronto where I had the chance to gig in Toronto and announce publically, on stage, that Little Spark was the silent, 6th person up there. It was a songwriter-in-the-round with Layah Jane and Sara Kamin, two great artists from Toronto, as well as backing musicians Oliver Johnson and Cheryl Reid. We all had a beautiful time and I truly felt that “pregnancy glow” that people talk about. It was all around me. I felt it in the music, the air, in the shape of my own smile, the lilt of my own good mood. I had just received the news of David Blair’s passing, though, a brilliant poet and songwriter from Detroit. He and I had shared a night of music on October 30th last year and spoke of doing more shows together this year. We’ve known each other for over a decade and used to perform together more regularly back in the day. Reconnecting with him was a highlight of my fall tour and the news of his sudden passing (of natural causes) at the young age of only 43 sent me reeling with disbelief as it did all those who have had the gift of knowing him. In a way, I think the magic of that evening gig was David-inspired. Maybe he sent it to us. 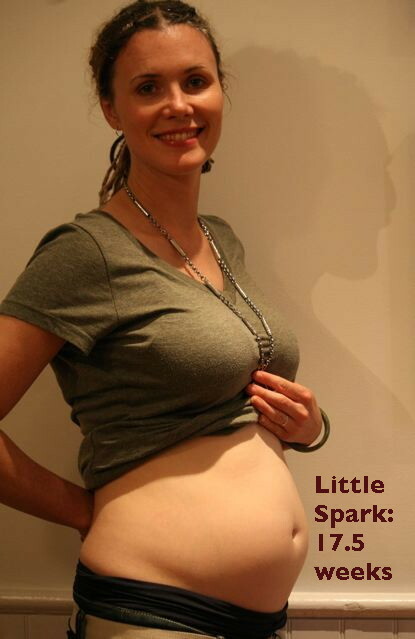 That day, I asked my belly if Little Spark had settled on a spirit yet. I mean, it’s possible that there’s still a debate in the spirit world as to who is going to take on this body that is forming in my belly. Little Spark, like all fetuses, is (my perfect and welcomed) parasite. So, if there’s a possibility that a spirit doesn’t really definitively take up residence until this creature exists outside of its host, there may still be a vacancy!! So, naturally, I invited Blair to come back if he wanted to and I reminded him that I had the perfect vehicle growing in me for his safe return. That is, if there are no other drivers yet. And, of course, if he’s not otherwise engaged! Knowing him, he may have already launched a spirit-level mission to inspire change in the world on even higher levels than poetry and music. After all, he’s always been a man with a project. Who knows who will arrive in January in this Little Spark bundle, but death and life, side by side, teetered ever so slightly this week and then settled perfectly into the calm, balanced pondering above. My belly is growing. And, my heart is too. (Forgive me for the mushiness of that statement, but it’s true!) This gift of life that is becoming more and more visible everyday is just, well, AWESOME. There’s a human being growing in me! It’s surreal and astounding all at once. I exist daily as a carrier of another human who will have a name, a personality, a favourite ice cream, a family, ….a future!! What my female body is capable of doing, growing, and BECOMING for the sake of the next generation is completely astounding. And I finally feel well enough to appreciate it. It’s all a huge gift.